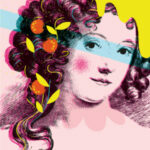 ⇒ Buy tickets to Nell Gwynn at Folger Theatre, onstage through Mar 10. Nell Gwynn [graphic]/ painted by Sir Peter Lely; engraved by Thos. Wright. Folger Shakespeare Library. ART Vol. b69 no.7. Nell Gwynn (1650–1687) may be unknown to contemporary playgoers, but her grit, wit and feisty talents deserve kudos even three and a half centuries past her initial turn on stage. 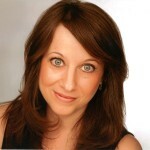 Hats off to playwright Jessica Swale for seeing to it that she gets them. Gwynn was among the first women to perform in the English theater. She went from hawking oranges to peddling verse. As any good comedienne will tell you (and Nell preferred comedy to tragedy, hands down): timing is everything. Her foray into performance occurred precisely when an illiterate but exuberant citrus seller could sway a theatrical genre and a king’s heart tout de suite. The use of “actor-esses” affected activity on theatrical stages and pages alike. 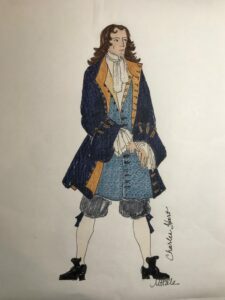 In the words of Swale’s Killigrew, the use of real women means female characters “won’t need to be so feminine anymore.” Rather than rehash portraits of idealized ladies defined by extraordinary chastity or patience, playwrights crafted roles with an eye toward the actresses who would play them. In the 17th century, a woman’s choice to embrace the stage would instantly distance her from traditional notions of temperance and virtue. The very nature of performance put an actress’s body on display, and feminine speech—an accepted sign of female wantonness—was the actress’s primary tool. These early women of theater were no shrinking violets. 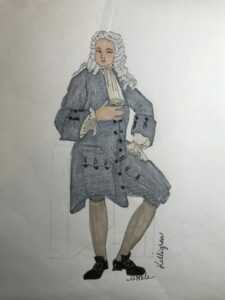 Scholars attending to Restoration Comedy consistently note a shift among female characters in their more pronounced demonstrations of wit, autonomy, and desire. Gwynn offered up to audiences a clever mind, playful charm, skillful mimicry, and a frankness of appetite for which she was wholly unashamed. She took her mentor Charles Hart as a lover, and later Charles Sackville, Lord Buckhurst. When she captured the heart of Charles II, King of England, she insisted that to her he was Charles the third. 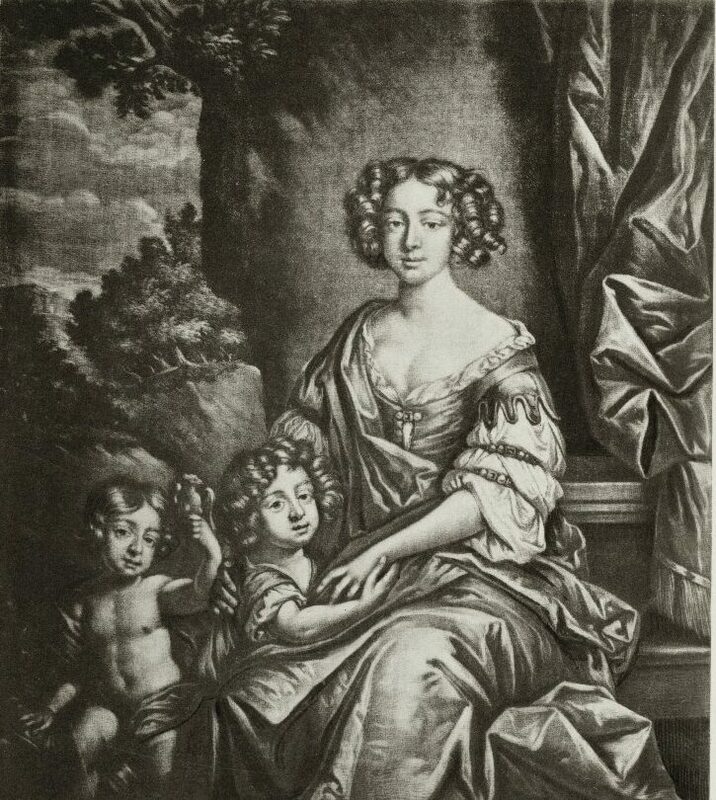 Madame Ellen Gwinn and her two sons, Charles Earl of Beaufort and James Lord Beauclaire (by R. Tomson after Peter Lely). 1883. Folger Shakespeare Library. Gwynn became the King’s mistress toward the end of the 1660’s. Biographers write that he was taken by her “madcap wit, at once so innocent and penetrating” (Beauclerk). Plus, she taught Charles how to fish. Unlike his other mistresses (and this sovereign had more than a few), Gwynn did not press him for a title for herself, though she did so for their first-born son. He became Charles, Duke of St. Albans, the only one of the couple’s two sons to survive to adulthood. Gwynn’s career did not end with her move from a theatrical house to a royal one. She returned to the stage after Charles’s birth, three years into her relationship with the King. The choice to continue with a career, however briefly, suggests her attachment to the art. Audiences flocked to Gwynn, impressed by her craft, her bedfellow, or both. Swale’s play indicates similarities between the theater and court, actor and politician, and the dangers and delights of a live audience. Gwynn coaches her hesitant King on the value of action, and on the benefits of collaboration and trust, essential to players of all kinds. 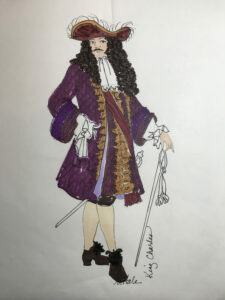 Her unexpected relationship with Charles II lasted over eighteen years until his death in 1685. On his deathbed, Charles spoke of his “poor Nelly,” urging her remembrance and, we might imagine, the conclusion of a quite remarkable run. Stay tuned for further insights into Folger Theatre’s Nell Gwynn, which begins performances on Tuesday, January 29. For tickets and more information, visit us online or call the Folger Box Office at 202.544.7077. 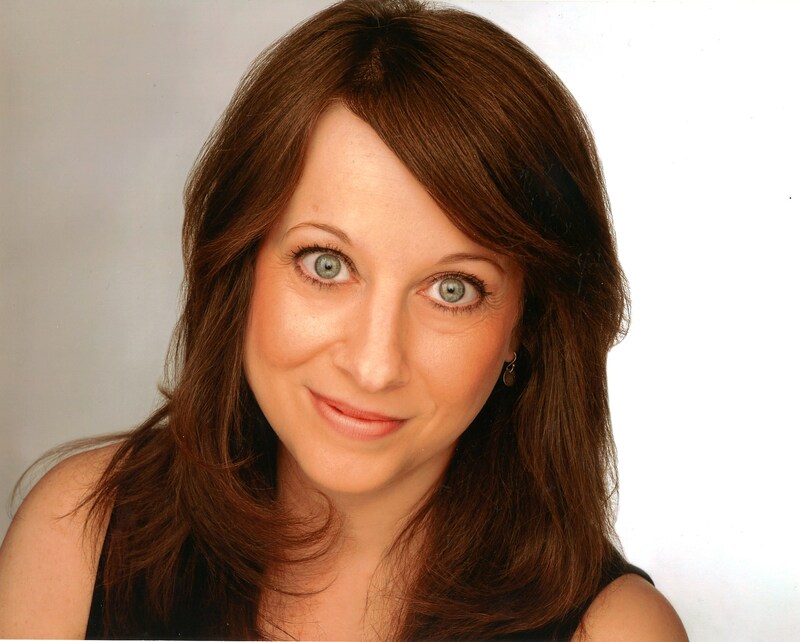 Michele Osherow Resident Dramaturg. Folger Theatre: Rosencrantz and Guildenstern are Dead, Mary Stuart, Julius Caesar, Richard III, Romeo and Juliet, Twelfth Night, Henry V, The Conference of the Birds, The Taming of the Shrew, The Gaming Table, Othello (2011), Cyrano, The Comedy of Errors, Henry VII, Hamlet, Orestes: A Tragic Romp, Much Ado About Nothing, Arcadia, The Winter’s Tale, 1 Henry IV, Macbeth, The Tempest, A Midsummer Night’s Dream, Othello, Measure for Measure (dramaturg and actor). Regional: Quotidian Theatre Company: The Veil (actor), Afterplay (actor), A Lovely Sunday for Creve Coeur (actor), Captain Drew on Leave, Dublin Carol, The Carpetbagger’s Children, The Mollusc, Tomorrow (actor), The Seagull (actor), Valentine’s Day (actor), While We Have the Light (actor), Uncle Vanya (actor), A Little Trick (actor); Jewish Repertory Theatre: The Dybbuk (actor). Arden Theatre Company: The Chosen, As You Like It (actor), Love’s Labors[sic] (actor); Associate Professor of English at the University of Maryland, Baltimore County. It’s a fantastic production! Many of us remember the related play “Or,” at the Roundhouse Theater two years ago. 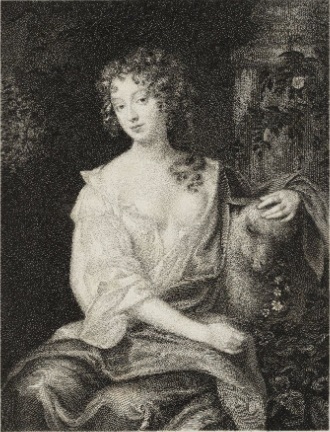 It included Nell Gwynn as a character.